3 Bedroom End of Terrace House For Sale in Manchester for Offers Over £160,000. ANOTHER ONE SOLD we have buyers looking for this type of property. Please call Entwistle Green 01942 840 973 to book a FREE valuation. STUNNING 3 BED FAMILY HOME FINISHED BEAUTIFULLY GADBURY FOLD, EN SUITE AND DOWNSTAIRS WC. This GORGEOUS house boasts a traditional layout ideal for families. Enter into a generous porch with downstairs cloaks, through to a generous lounge which is presented beautifully. There is a large kitchen diner with modern fitted units and integrated appliances and a low maintenance garden. 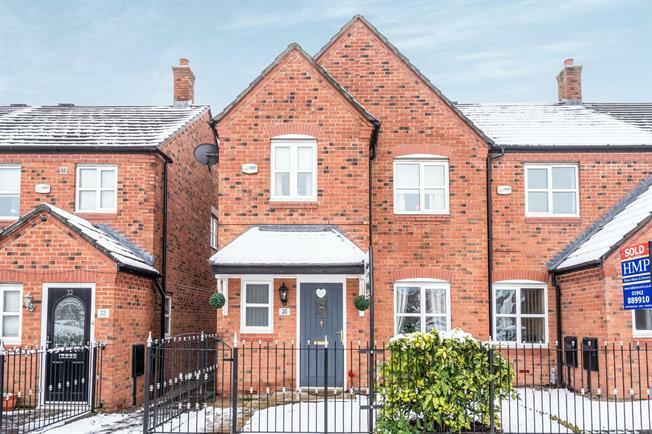 To the first floor there are two double bedrooms and a large single, all presented beautifully, with a pristine en suite with white suite and tiles and family bathroom.